Can you eat soup witch chopsticks? Chopsticks are necessary tools in every Japanese meal. With them it’s easy to eat dishes made of rice, fish and vegetables. There is no need to use knives and forks. Since ancient times people in Japan have thought about sticks as one way to connect with gods. They are considered sacred and to this day chopsticks are placed next to the offers of food for deities. About 40% of people in the world use to eat their hands, another 30% use forks and knives, and the remaining 30% use chopsticks. Mainly in the East Asia, but especially in Japan, China and Korea. 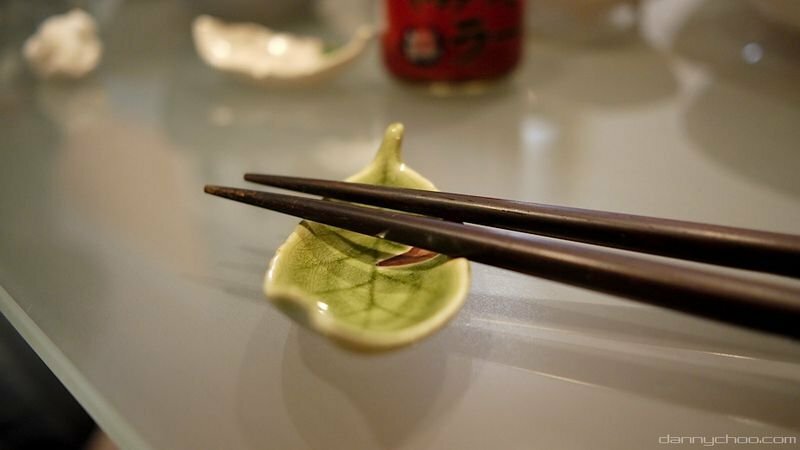 The last two countries also use spoons to eat quite a lot of dishes, so Japan is really the only country where almost everything is eaten with chopsticks. They can be found in any Japanese household where they are used to eat both rice and side dishes. They played an important role in meals for countless centuries. People usually have their own pair of chopsticks. Even in families, no one uses the chopsticks of another person. The Japanese have the saying ‘Life begins with chopsticks and ends with chopsticks’. In the hundredth day after the birth of a child, a special event takes place. The food is picked up with chopsticks and applied to the child’s mouth, symbolizing the act of eating. This ceremony is a prayer for healthy growth and that the child will never be hungry. Chopsticks also play an important role in many other rituals. For example, during the full moon, there is a ceremony of admiring the moon and thanksgiving is offered for the abundant harvest. Chopsticks from pampas grass stalks are placed next to food and drink as offers. Chopsticks give you many possibilities, they are even more useful and comfortable than a fork and knife. In Japanese cuisine, most ingredients are cut into portions of a bite size. Thanks to that, it is easy to catch them and eat with chopsticks. They are also used to divide food into smaller portions, such as soft tofu or fish. With chopsticks it’s easy to remove fish bones or wrap rice in a nori seaweed, these activities are much harder to make with a fork. You can also beat with them raw egg, which the Japanese use in many dishes. In principle, you can say that Japanese cuisine has developed in such way that you can eat it with chopsticks. Chopsticks come in many sizes and each has its own specific uses. Long, bamboo sticks are used during cooking. Chopsticks with pointed tips are designed to arrange a meal before serving. The Japanese take great care to make the dish look beautiful too, which is why they use chopsticks to arrange its elements on plates and bowls. Chopsticks used in rituals are thick in the middle. For special occasions, for example New Year, special chopsticks made of willow wood are used. They are narrowed at both ends, because it was believed that thanks to that, the deities will be able to eat a meal together with people. There is also an appropriate way to use chopsticks and there is an etiquette that regulates what you can and can not do with chopsticks. Here’s a quick guide on how to use chopsticks. The first step is holding them correctly. To do this, first take one chopstick and hold it as if you were holding a pen or pencil. Then the second chopstick put under the thumb so that it rests on the ring finger. When eating, do not move the bottom stick, only the one on top. The etiquette regulates the way in which we raise the sticks. We do it with the right hand, holding them in the middle with fingers. Then, with your left hand, gently grab the chopsticks at their ends so that they rest comfortably on your fingers. Move the right hand to the end and then use the middle finger to separate the sticks. Sometimes I’ve heard jokes “I wonder how Asians eat soup with chopsticks? Soup with chopsticks, hehe, for sure.” Well, you can easily eat the soup with chopsticks. They are used for taking noodles and other ingredients, and the bowl with soup you should pick up to the mouth and drink it directly from it. If you eat miso, which is served in a small bowl, pick it up and put it on the palm, so that your fingers remain free. Then, with your other hand, pick up the chopsticks and put their ends on the fingers of the hand, in which you hold a bowl of soup. Then separate them and they are ready to use. It is considered impolite to tap the ends of chopsticks on the table. They should also always be put on a special stand for chopsticks, or simply you should put them on a bowl. You should never point other people with chopsticks or circulate them over the table before you catch the piece of food you are interested in. Also, do not stab your food witch chopsticks like barbarian. It’s very, very rude! The Japanese take great care of their chopsticks, they are emotionally attached to them. Funeral ceremonies are organized for chopsticks in some shrines. It comes from the belief that the soul of the person who used them is stored in the chopsticks. That’s why they are burned, to thank them for serving us so long. Chopsticks is an important element not only in everyday life, but also in Japanese culture. Using them is not so difficult. If you have never used them, I recommend you to try. It may turn out that they will be more useful for you than a knife and fork.